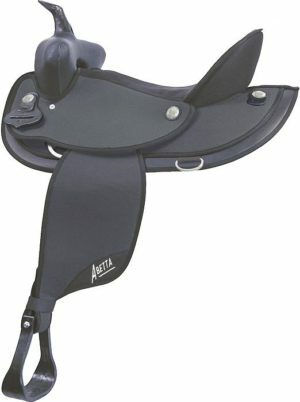 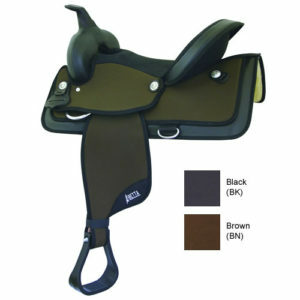 Abetta’s most exciting new trail saddle has been made better. 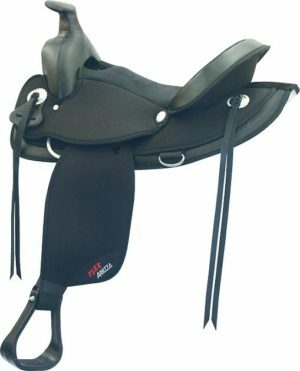 Available in Extra Wide Ralide or Ralide Flex tree with ProShock Neoprene cushion bars, the Stealth Comfort Trail has an extra thick super cushion seat for sublime comfort. 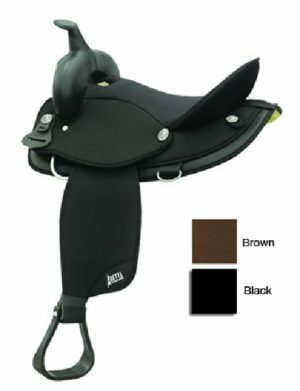 Finish: Tough, scratch-resistant 1000 denier Nylon laminated to shock-absorbing foam. 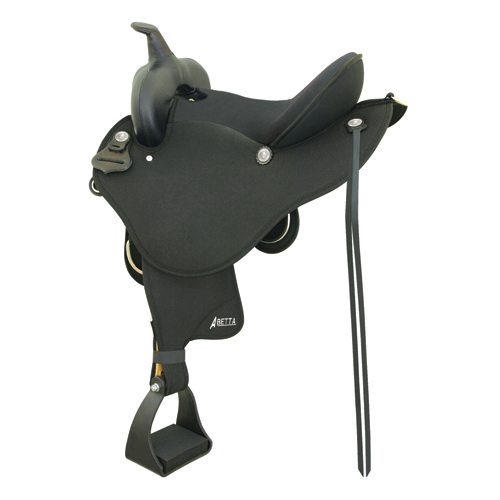 Oversized seat jockey with extra tie down rings and long leather strings.